Railroad conductors supervise trains and train crews on passenger trains, on freight trains, or in the rail yards. They are responsible for keeping track of the train’s operating instructions and of its makeup and cargo. There are approximately 38,000 railroad conductors and yardmasters employed in the United States. The term conductor is likely to conjure up an image of the man who calls “All aboard!” before a train leaves the station. In the early days of the railroad, this association was accurate. Today, however, railroad conductors are more than a passenger liaison. With today’s smaller crews, conductors and engineers often make up the entire crew aboard a train. On many early passenger trains, the railroad conductor’s most important task was to see to the comfort and safety of the passengers. For the first conductors, this was no simple task. The earliest trains had seats bolted to platforms that looked much like today’s flat cars. There were no roofs over those cars, and passengers were consequently exposed to the elements, such as rain and wind, and to flying sparks from the tinderboxes of locomotives. More often than not, the conductor had to extinguish fires started by flying sparks on the train and in passengers’ clothing. By the 1870s, as trains crossed the unsettled western areas of the United States, the conductor’s job became even more difficult and dangerous. Outlaws frequently attacked trains or tore up tracks and damaged bridges. Once rail came to be a popular method of both passenger and freight transportation in the latter half of the 1800s and early 1900s, railroad companies had the means to improve the quality of their locomotives and trains. As locomotives and trains became more complex machines, conductors became well versed in all areas of train operation. They were required to know a lot about all aspects of a train, from the engines, cars, and cargo to the track and signal systems. Today’s conductors are responsible for the proper functioning of the entire train. Railroad conductors fall into two basic categories: road conductors and yard conductors. Within the category of road conductors are included conductors of both freight and passenger trains, although their duties vary somewhat. The conductor is in charge of the train in its entirety, including all equipment and the crew. Before a freight or passenger train departs from the terminal, the road conductor receives orders from the dispatcher regarding the train’s route, timetable, and cargo. He or she then confers with the engineer and other members of the train crew, if necessary. During the run, conductors may receive additional communication by radio, such as information on track conditions or the instruction to pull off at the next available stop. They then relay this information to the engineer via a two-way radio. Conductors also receive information about any operating problems while underway and may make arrangements for repairs or removal of defective cars. They use a radio or wayside phone to keep dispatchers informed about the status of the trip. Conductors on freight trains are responsible for getting bills of loading, lists of cars in their train, and written orders from the station agent and dispatcher. They keep records of each car’s content and eventual destination and see to it that cars are dropped off and picked up along the route as specified. Both before and during the run, they inspect the cars to make sure everything is as it should be. On passenger trains, conductors see to it that passenger cars are clean and that passengers are seated and comfortable. They collect tickets and cash and attend to the passengers’ needs. At stops, they supervise the disembarking of the passengers and tell the engineer when it is safe to pull out of the station. If an accident occurs, conductors take charge and direct passengers and other crew members. Yard conductors are usually stationed at a switching point or terminal where they signal the engineer and direct the work of switching crews that assemble and disassemble the trains. Based on a knowledge of train schedules, the yard conductor or yard foreman is responsible for seeing that cars destined to arrive at various points along one of many routes are put together and ready to leave on time. He or she sends cars to special tracks for unloading and sends other cars to tracks to await being made into trains. Conductors tell switching crews which cars to couple or uncouple and which switches to throw to divert the locomotive or cars to the proper tracks. Today, many yards are mechanized. In this case, yard conductors supervise the movement of cars through electronic devices. All conductors perform strenuous work outside in all weather conditions and travel extensively. Usually, conductors are required to work on-call, on an as-needed basis. Railroads expect conductors, as well as most of their other employees, to be available to work 24 hours a day, seven days a week in all weather conditions. A certain time period is allotted, usually 12 hours, from the time of call to report to work. If you are interested in becoming a conductor, you will benefit from taking as many shop classes as possible. Any course that teaches electrical principles is particularly helpful. Because on-board computers are increasingly used in this profession, computer training would be a plus. Finally, academic subjects such as English and speech are also important because conductors are required to write some reports and speak to fellow workers and passengers. Many conductors acquire the knowledge to assume their positions through years of practical experience in other positions on the railroad. Railroads prefer that applicants for these jobs have high school diplomas, but further education, outside of the railroad’s training school, is not typically required. To be eligible for a conductor’s position, you must pass examinations testing your knowledge of signals, timetables, air brakes, operating rules, and related subjects. You must pass an entrance-to-service medical examination and must pass further physicals at regular intervals. You are also required to take tests that screen for drug use. You must be able to lift 80 pounds, as is required when replacing knuckles that connect rail cars. Because conductors are responsible for overseeing the activities of the other crew members and for dealing with the public, you must be capable of assuming responsibility, directing the work activities of others, and acting as the railroad’s representative to passengers. A conductor must have a good working knowledge of the operation of the train and of its mechanical details. In addition, you must be self-sufficient and capable of occupying free hours because much of the time is spent away from home. Finally, it is important that you have good judgment skills, be dependable, and be able to make quick, responsible decisions. A visit to a rail yard might give you some insight into the work of a yard conductor and into the operations of railroads in general. It might be possible to arrange to talk with a conductor who works on a freight train or a passenger train for further insight. It might even be possible to obtain summer or part-time work for a railroad company. Many conductors have an engineering or mechanical background, so you may find it helpful to explore such areas in high school through vocational clubs or classes. The Junior Engineering Technical Society (JETS) is a nationwide organization that provides training and competition for students in engineering and technical subject areas. Railroad conductors may be employed by passenger lines or freight lines. They may work for one of the major railroads, such as Burlington Northern Santa Fe, Norfolk Southern, or CSX, or they may work for one of the 500 smaller short-line railroads across the country. Many of the passenger lines today are commuter lines located near large metropolitan areas. Railroad conductors who work for freight lines may work in a rural or an urban area and will travel more extensively than the shorter, daily commuter routes passenger railroad conductors make. There are 38,000 railroad conductors and yardmasters working in the United States, according to the Bureau of Labor Statistics. The method of becoming a conductor varies and is usually determined by a particular railroad company. Most often, you must start at an entry-level job—such as messenger or janitor—and work your way up to foreman or conductor positions. After acquiring experience, you may be considered for the position of conductor. Some companies promote experienced personnel to conductor positions. At other companies, there is a specific sequence of jobs and training required before you become a conductor. For example, one of the major railroads, Norfolk Southern, requires class and field training for freight service trainees to become conductor trainees. Field experience includes training with yard, local, and through freight crews. Completion of written exams is also required. Conductor trainees for Norfolk Southern undergo locomotive engineer training, including four weeks at a training facility and eight to 12 months of field training. The railroad lists the following duties for its conductor trainees: operate track switches, couple cars, and work on freight trains in yard operations and on the road. Thus, you must first seek employment at a lower-level job with a railroad company. Direct contact with unions and railroad companies is recommended if you want more information about an entry-level job. Such jobs serve as training for future conductors, as you will be required to know all aspects of train operation. When conductors first begin their careers, they are seldom assigned regular full-time positions. Instead, they are put on a list called an “extra board” and are called in only when the railroad needs a substitute for a regular employee. On most railroads, conductors who are assigned to the extra board may work as brakers if there are not enough conductor runs available that month. The first form of promotion, then, is receiving a regular assignment as a conductor. Conductors who show promise and ability may eventually be promoted to managerial positions. As is the case with most rail occupations, the daily wage or hourly rate varies with the size of the railroad. Other factors that affect wages are the type of service, number of cars on the train, and the location of the train’s run. For example, conductors receive extra pay on trains passing through mountainous regions. Usually, basic wages, as well as fringe benefits, for conductors are guaranteed by union contract. According to the U.S. Department of Labor, median hourly earnings of railroad conductors and yardmasters were $22.28 in 2004, making a median annual salary $46,340. Wages ranged from less than $13.73 (a full-time salary of $28,500) to more than $34.13 an hour (a fulltime salary of $70,990). Conductors, like other railroad workers, receive a generous benefits package including health and life insurance, paid holidays and vacations, sick leave, and a pension plan. In addition to retirement plans sponsored by unions and railroads, conductors are eligible for Social Security and other government benefits. Almost three quarters of railroad employees are members of a union, such as the United Transportation Union. Road conductors spend much of their time traveling and must be away from home on a constant basis. While assigned to the extra board, they usually have irregular hours. 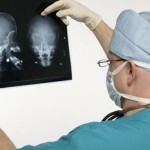 Once they receive a regular assignment, however, they may maintain a regular schedule and remain on a run for years. Although the basic workweek is eight hours for five days a week, days and nights are not considered different, and Sunday is treated as a workday. Along with other members of the train’s crew, conductors work extra hours, including nights, weekends, and holidays, when travel is especially heavy. Mandatory rest periods are required for safety purposes. If a conductor is required to “lay over” while awaiting a train to return to the home terminal, he or she must pay for meals and other living expenses. 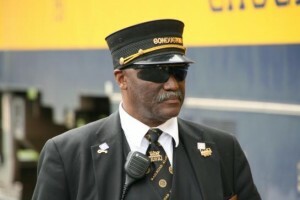 In addition to being a leader among other members of the train crew, the conductor also has the most direct and frequent contact with the public. 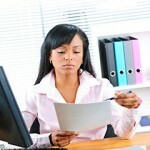 The position can carry heavy responsibilities; it can also be very rewarding. Job opportunities are not promising for railroad conductors. Rail passenger services to many points have been discontinued. Although the volume of railroad freight business is expected to increase in the coming years, the use of mechanization, automation, and larger, faster trains is expected to cause a continued decline in the employment of rail transportation workers. Computers are now used to keep track of empty freight cars, match empty cars with the closest load, and dispatch trains. Also, new work rules that allow two- and three-person crews instead of the traditional five-person crews are becoming more widely used, and these factors combine to lessen the need for conductors and other crew workers. The U.S. Department of Labor expects employment for nearly all railroad transportation workers to decline through 2014. Most job openings that arise in the future will be from a need to replace conductors who transfer to other kinds of work or who retire.